Lighting promotes peoples outdoor activities. Avoid un-necessary light levels and reduce the blue light content. With cheap energy why change to LED streetlighting? Discharge lamps that are currently widely used for outdoor lighting are difficult to control electronically and the power range is limited. This may lead to unnecessary ‘over lighting’. 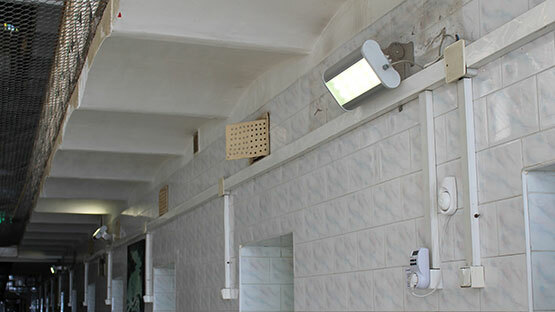 For example, lamps may be available in wattages such as 70w, 100w, 150w, 250w. This leads to step changes in illumination levels. Intermediate levels can only be achieved by dimming and this may not be possible. Note that lighting levels should conform to the requirements of EN 13201. Furthermore, the choice of light source spectra is limited in discharge lamps. Exposure to light at night must be handled with care, as depending on lighting intensity, exposure duration and spectrum light can contribute to biological effects that are disruptive for sleep and health. With proper lighting design, the positive effects of light can be achieved without inducing the potentially negative impacts on the circadian rhythm. Circadian sensitive lighting provides a healthy living environment at night. The circadian system of humans can be disturbed by light exposure interfering with hormone secretion, such as melatonin. The changes in the hormone levels can further affect the alertness, sleepiness, mood and stress levels. In circadian sensitive lighting, intensity is adjusted according to expectations and the demands of the task. Blue light emission is limited. LED-based light sources with low circadian action are feasible. At the moment neurophysiological light-responses are not fully comprehended. However, there seems to be agreement that the human circadian system has peak sensitivity in the blue region, around 460-490 nm. It must be noted that the light history, i.e. the prior light exposure of an individual and the level of adaptation, may also affect the impact the light has on the circadian rhythm. It has also been suggested that blue rich light sources may potentially increase sky glow. Conclusion: For streetlighting in urban and residential areas, light in the blue region should be minimised. 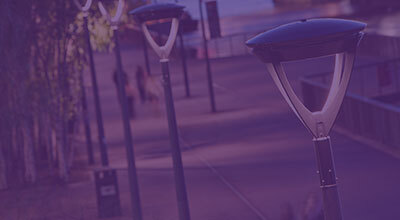 Lighting improves pedestrians’ feeling of security. Traditionally, lighting has been seen as a matter of visual performance and visual access, providing reassurance for those who are fearful in public places. Lighting allows people to see what is around them so that they can easily recognise potential escape routes and notice that there are no places for offenders to hide. Furthermore, lighting makes it possible to evaluate the expressions, gestures and appearances of other people, enabling a person to make risk evaluations and change their route if necessary. Lighting also makes it possible for a person to be seen so that, in the case of an attack, others may perceive and react to the situation. Lighting is also related to the concepts of territorial functioning and physical incivility. Fully operating and aesthetical lighting may lead to a reduced fear of crime, since it alerts a person that they are in a well-off environment that is taken care of, whereas dull lighting with broken luminaires sends a signal of indifference and disarray. There is also empirical evidence that perceiving the lighting environment as pleasant is more important for feelings of safety than merely perceiving the brightness of an environment. Lighting provides visual access (view) for pedestrians and enables them to observe escape opportunities. Research indicates that pedestrians especially appreciate near-field prospects and escape opportunities. In the study, prospect, escape and concealment (the assailant’s refuge) were manipulated through the way in which lighting was distributed. The study demonstrated that in terms of feeling safe, pedestrians value more lighting in their immediate surroundings than further away in the street, thus indicating that an extensive 360 degree view in the near field is more important than a far field but very narrow view. Research shows that lighting in the immediate surroundings is important for feelings of safety and that pedestrians want to walk in a spotlight. In shared traffic spaces pedestrians want to be clearly visible to the other space users. Conclusion: Lighting gives users a feeling of security and improves safety. Direct the light where and when it is needed. Europe is facing a demographic change into an aged society. Cities should be prepared to provide accessible outdoor spaces for senior citizens. 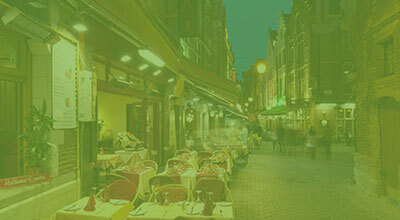 Mobility, recreation and social life after dark should be encouraged through the creation of attractive outdoor spaces. Lighting is a major factor in the formation of the visual image of urban nightscapes and the visual effect of light and darkness should be used for the benefit of all citizens. 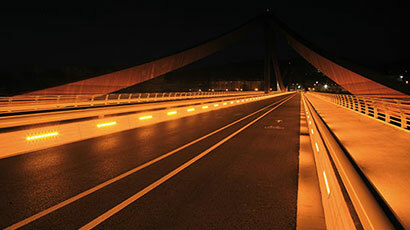 Until now, a large amount of urban lighting has been devoted to fulfil the needs of car drivers. 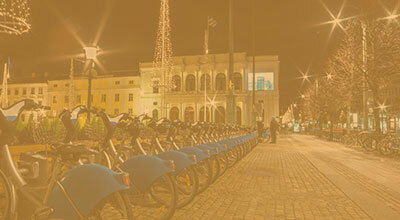 As and when vehicle light technology together with automatic detection and response technologies is advances it may be possible to give more emphasis to the needs of the pedestrians and cyclists and encourage their mobility. 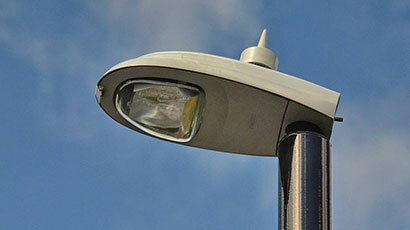 Street lighting could become redundant in areas where there is no pedestrian or cyclist activity. This would have a considerable impact on the visual image of urban nightscapes. Directing light only where it is needed is a complex issue. On traffic routes, the main emphasis is on lighting vehicles and the road surface to reveal any obstructions. Tall columns, widely spaced are a common solution. 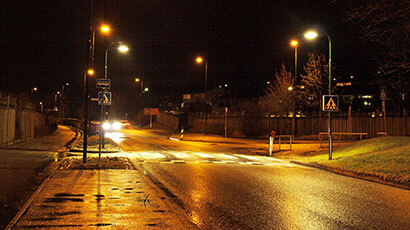 In urban areas, the pavements and pedestrians also need to be illuminated. Good vertical illumination using a high colour rendering source, becomes an important feature in order to identify people and see their faces. Columns should be on a more human scale. If there is no motorised traffic, it may be possible to avoid using columns completely. However, it is much easier to achieve good facial illumination using low columns. Wall mounted luminaires are a good alternative. In residential areas, many people like there to be enough spill light so that they can see their gardens or insert a key into their front door. Conclusion: Lighting should only be used where necessary and it should be directed only where it is needed. Outdoor activity may have positive effects on the human health by increasing the physical activity. 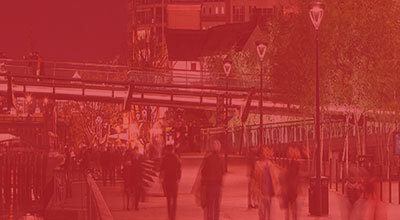 Research evidence points to the direction that lighting affects people’s willingness to use urban spaces after dark. Lighting may also affect the way in which these spaces are used, e.g. route choices, and how frequent they are used. Increased amounts of walking and cycling, instead of motorised mobility, has environmental benefits, such as lower levels of fine particles in the air. It also has a positive effect on mental and physiological health. An increased use of outdoor spaces by women, elderly and families also affects the nature of social environment at night. Besides fear of crime also fear of falling may lead to diminished outdoor activities among elderly. At winter evenings low ambient light levels complicating postural control together with slippery pavements create challenging environment for senior citizens. There is research evidence indicating that lighting system providing horizontal and vertical visual cues affects positively postural control. This kind of approach might be more energy efficient than general brightness increase. However, practical applications should carefully study possible eye heights and view angles in order to avoid glare. 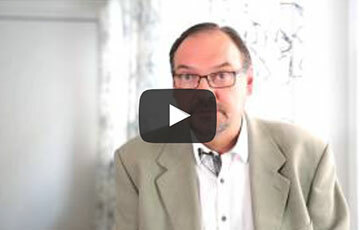 Human Centric Lighting in a school - How to get started?